PrimeLocation has thousands of properties for sale or rent - and some pretty nifty tools to make finding the right one much easier. PrimeLocation offers so much more to buyers or renters than just punching in your location and sifting through potential homes until you land on one that takes your fancy. Rather than look up postcodes, a neat alternative is to use our SmartMaps tool to simply zoom in on your chosen area and draw around it, as below. It will then show all the properties currently for sale. Locations on maps aren’t always as close as they seem when measured by travel time. Thankfully, our travel time search tool allows you to refine your search to homes within any given journey time to key destinations such as the office or school. Times are calculated depending on whether you’re driving, on public transport, cycling or even walking. Our Advanced Search option allows you to pinpoint specific must-have features you want from a new home. Simply enter your chosen keyword or phrase, such as ‘double garage’ or ‘large garden’ and hey presto, only these types of properties will appear. You can also tick boxes for ‘retirement homes’ and ‘auctions’. All in all, quite a time saver. If you’re looking to put your house on the market and want to estimate a fair price, or if you’re scouting a new location and need a benchmark for your offer, then our sold house prices tool comes to the rescue. You can see the house price paid for millions of UK homes, dating back to 1995 from all across the UK. 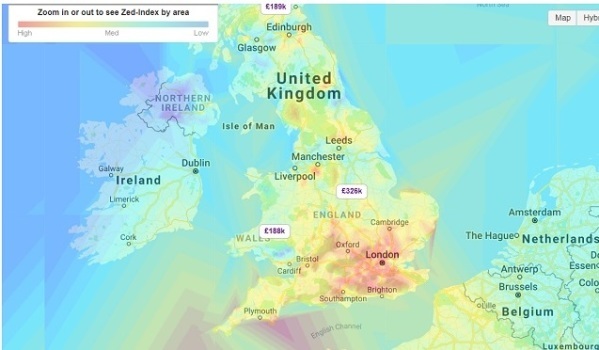 If you want to see where’s affordable and where you’ll need to pay a premium, our heatmap tool will assist at a glance. Blue shows you the cheaper areas, and as the map turns red, properties grow more expensive - we just hope the results doesn’t turn you similar shade of red. Reliable tradesmen are in demand and can be tricky to track down, especially if you’re moving to a new area of the country. Posting your job on Plentific (a directory of vetted tradespeople on PrimeLocation) takes the hassle out of the search and lets the quotes roll in to you. Don’t forget to factor in the cost of removals when you are planning a move. Use PrimeLocation's cost estimate tool and our partner, AnyVan, will return an instant quote for you. Lost a postcode? 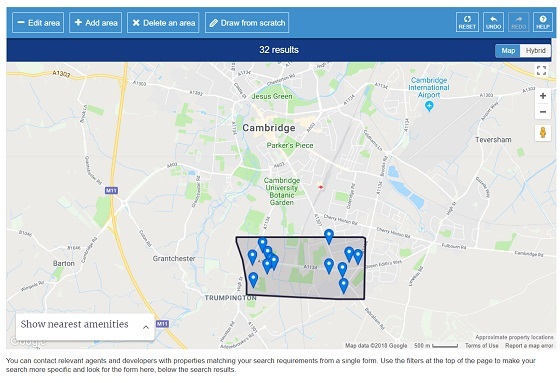 You just need to know a fraction of the rest of the address and PrimeLocation’s smart postcode finder will search over 27 million UK properties to get the correct full postcode for you. If you just fancy a little web window browsing then PrimeLocation’s property inspiration section is your safe bet. Just scroll down the homepage and you’ll see quick links to Dream Homes. Waterside Living, Life Abroad and more. All properties are currently for sale, although you might need deep pockets for a few of them.